Cordogan, Clark & Associates with Theater Consultants Jerit / Boys designed the Addison Center for the Arts to fulfill several roles in the community. 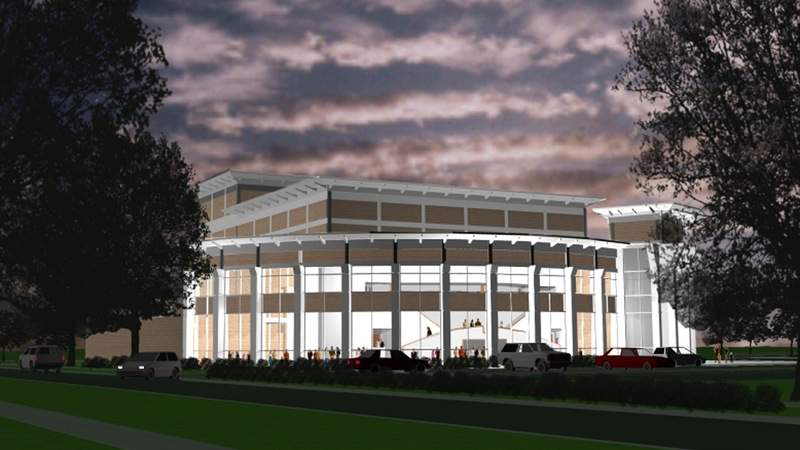 The center will provide a venue for the performing and visual arts in its theater and gallery, as well as provide studios for an arts education program that will offer instruction in a wide range of disciplines. The design of the Addison Center for the Arts creates a dignified public image and a meaningful sense of place by shaping its external as well as internal spaces. A central gallery and exhibition area inside the Center opens towards Lake Street and is overlooked by a two-story space within the building that serves as an assembly and social area for small gatherings. Upper level studios that will provide instructional and fine arts classrooms also overlook the exhibition areas below. A plaza outside the Center provides additional assembly areas and will accommodate a variety of community activities such as receptions, dedications, and community fairs.